The FUN BUS has 50 FUN - tastic Lesson Plans each which… targets a specific Gross Motor Skill while incorporating a Curriculum Based Instruction and/or Theme, with a corresponding Course Set-Up and a Group Game which acts as a Concluding and Reinforcing Cool Down Activity! All activities cater to children ages 18 months-7yrs old! Sessions are 30 minutes in length and are set to FUN and age appropriate music! Inside the FUN BUS children Tumble, Jump, Swing, Slide, Climb and consistently experience all the FUN our Fitness on WheelsProgram has to offer on a regular basis! 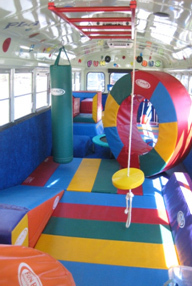 The FUN BUS charges $15.00 per FUNclass! Sessions are held weekly and a typical program is 10 weeks in length! 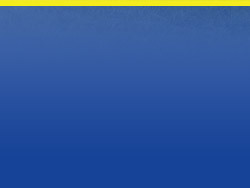 Re-registrations take place for weekly classes at the turn of each season! The FUN BUS will be rolling up to North Shore Early Childhood Center for the 2014-2015 school year! Don't let the FUN BUS pass your children by! Call or email Lisa Marie today with any questions! 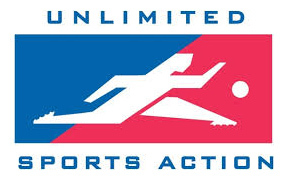 Unlimited Sports Action offers non-competitive activity classes for children ages 2-5 years old. These classes are designed to teach motor skills, hand-eye coordination, balance, focus, flexibility, socialization, and adult/child interaction.